Jack Wilshere was a high-risk signing for West Ham but has saved the club a potential £100m investment, says Manuel Pellegrini. Wilshere returned from a three-month absence with an ankle injury as a substitute in Saturday's 3-0 win at Newcastle and could feature in Tuesday's Premier League clash with Cardiff. The 26-year-old joined West Ham on a free transfer at the end of his contract with Arsenal in the summer, following a 10-year spell with the Gunners which was blighted by long-term injuries. "He was a high risk," Pellegrini said. "We knew before he was not a player who would be available for every game, every week, but was a player of a quality that is not easy to bring to West Ham at a price we could afford. "Maybe players of the quality of Wilshere at this moment can cost £100m, £90m, £70m. Good creative midfielders are very expensive. "He wanted to play at West Ham, we took the risk and it has not been a good month for him but we have the second part of the season and I hope he will play most part of the games." Wilshere has not been shy in outlining his ambition to return to the England reckoning. First he must return to the West Ham side. 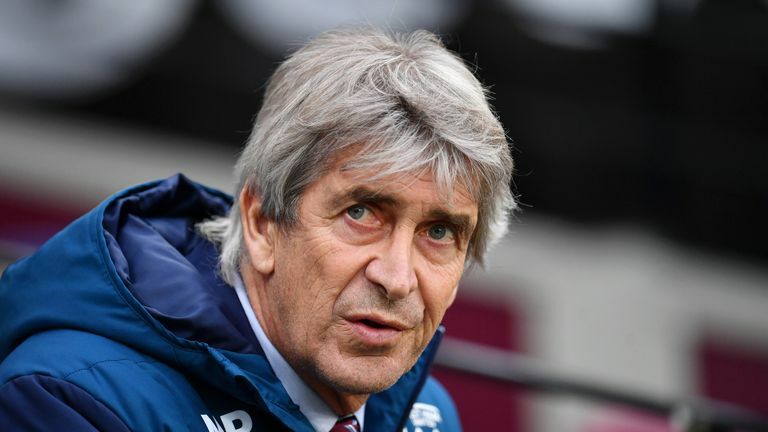 Pellegrini added: "It is never hard for good players to get into the team." The potential arrival of Samir Nasri at the turn of the year will only add to the competition. Former France, Arsenal and Manchester City midfielder Nasri is training with the Hammers in a bid to earn a contract. Nasri would not be available until January 1, due to a six-month ban for receiving an intravenous treatment at a Los Angeles clinic in breach of the World Anti-Doping Agency's rules. "The more good players we have the better we are going to play," Pellegrini said. Nasri has been without a club since leaving Antalyaspor of Turkey in January and has previously carried additional weight. "For me the weight of the player demonstrates his mentality," Pellegrini added. "You can't give an advantage in this profession, especially when every game is so tight. When every team has good players you cannot be overweight. "I think that Samir will be at the end of the month the weight that we need him to be to be a professional player for West Ham. He is working hard and is absolutely convinced that he can do it."